There is more attention for the affordability of our health care system. Budgets are decreasing and the pressure on people and resources is going up. Who pays for the investments in health care in the future? How would you design this? Are you interested in this topic and/or work in the health sector? Do you often collaborate with other parties with very different interests and do you find it difficult to balance these interests? Do you want to experience why it is so difficult to realise collective interests? 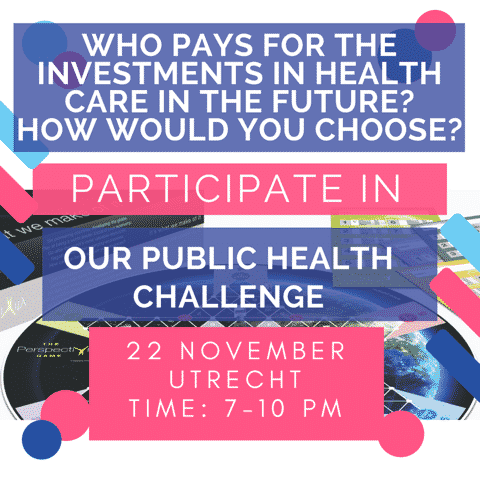 Then come play the Public Health Challenge with us! Together with others you play a world where you strive to optimise the quality of life of your population. You do this by balancing the scarce resources available. But pay attention because diseases might break out and your populations’ needs might change. 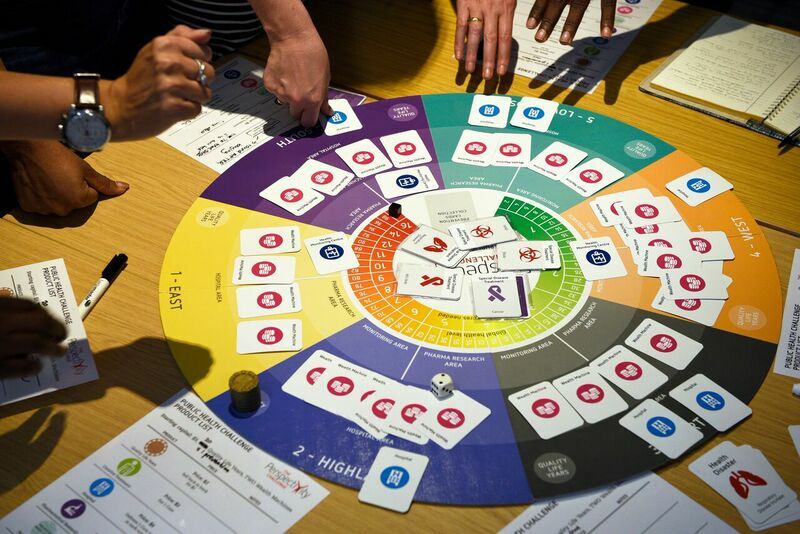 While playing this game, you gain insight into the collaboration between different parties and how your behaviour influences and is influenced by that of others. It is an open and free session, so feel free to bring a colleague, friend or neighbour!